PERIOD CON is back! Join us on January 26 and 27, 2019 in New York City for inspiration, learning, and workshops. We’re assembling PERIOD chapter leaders and aspiring activists in the Menstrual Movement. We’ll be joined by an impressive roster of speakers ranging from activists, influencers, brand representatives, legislators, and more. 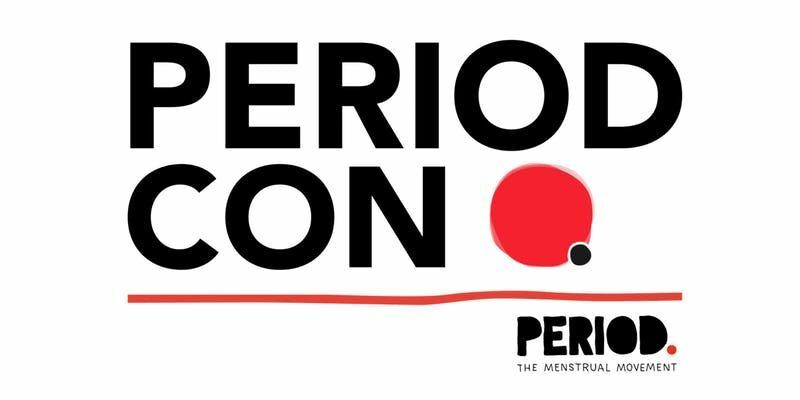 We’ll be sharing updates leading up to PERIOD CON 2019 via our Instagram channel @periodmovement - stay tuned, and we hope to see you in January! Union Park Events - 5 East 17th Street, New York, New York, 10003. Registration includes lunch both days, a swag bag, access to our vendors and sponsors, thought provoking panels and inspiring workshops. Early bird registration closes on December 30th, 2018 at 10pm EST, and regular registration closes on January 15th, 2019 at 10pm EST. If you’re a chapter member or leader, and would like to apply for potential financial assistance for conference registration, please apply here. We are able to offer a limited number of "scholarships" to help students offset the cost of the ticket. We are not able to offer assistance for travel expenses. these scholarships are intended primarily for chapter members, but also may be offered to PERIOD volunteers. Priority will be given to active chapter members, contributions to Period's pillars of service, advocacy and education, dedicated volunteers to national, and demonstrated financial need. NOTE: Apply first before purchasing your tickets. Round 1 Scholarships have already been awarded. Round 2 Scholarships applications are being accepted right now. Make sure your application in as soon as possible! Disclaimer: PERIOD CON 2019 is a conference for youth advocates in our campus chapter network, interested campus chapter leaders, and passionate period warriors who want to learn more about the Menstrual Movement. If you are interested in attending as a mentor, speaker, or sponsor, please contact emily@period.org. PERIOD is a globally youth-run organization that provides and celebrates menstrual health through service, education, and advocacy. Since its founding in 2014 by Nadya Okamoto and Vincent Forand, at the age of 16, PERIOD has grown to be the largest youth-run NGO in women’s health, and one of the fastest growing ones in the United States. The PERIOD network has addressed almost 400,000 periods through product distribution to menstruators in need, and registered over 230 campus chapters at universities and high schools around the US and abroad.